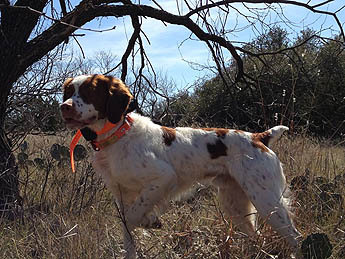 "Bubba pointing a covey of quail in Texas"
"Bubba finished his AKC Show Championship all from the Bred By Exhibitor Class. 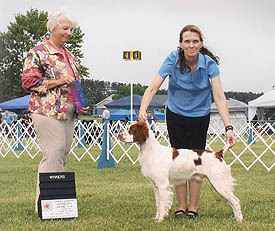 Bubba also took 4th place in Bred By Exhibitor Group and is a 2 time Best of Breed Winner. 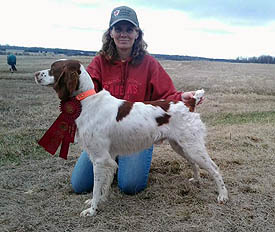 "Bubba" out of Belle & Yoda's first litter. 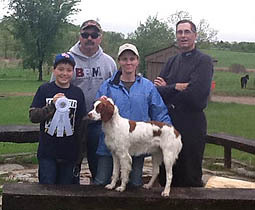 Bubba taking 2nd at a spring field trial. 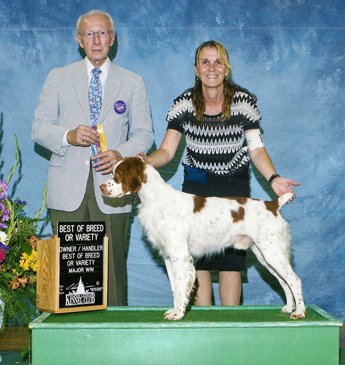 Bubba has multiple placements in puppy & derby stakes.